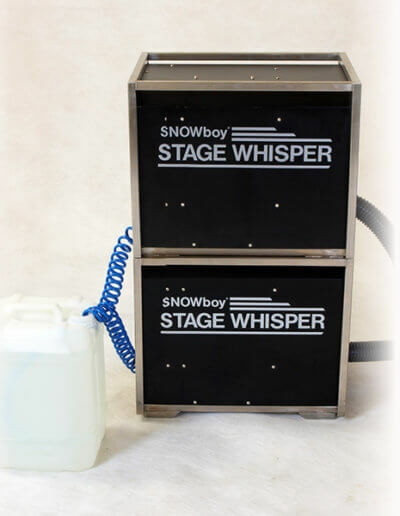 The SNOWboy Stage Whisper is new to the SNOWboy range of products and has been specially designed with Theatres in mind. 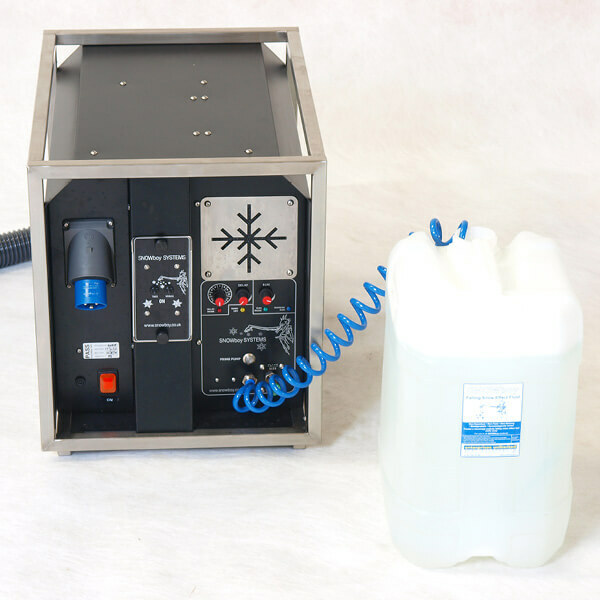 Manufactured solely by Snowboy Systems, this machine is suitable for all kinds of applications and is proving to be very popular with 4D cinemas. 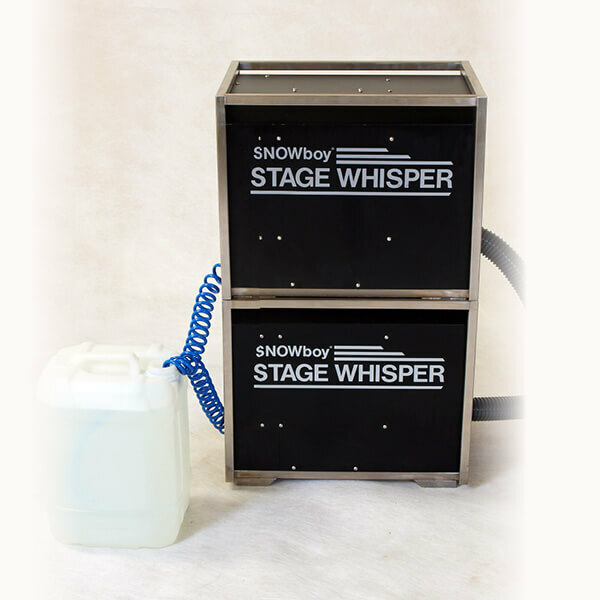 Whisper quiet and self contained – the SNOWboy Stage Whisper is convenient to use, sturdy and reliable. 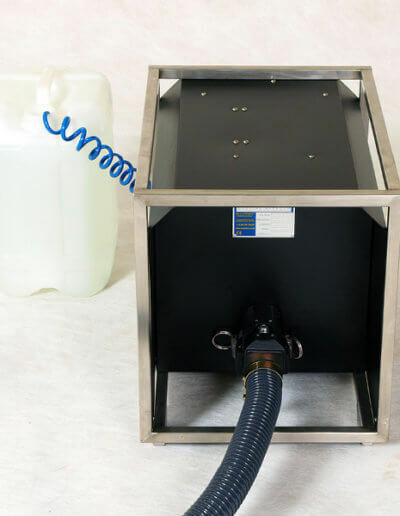 The timer enables the machine to be set up and left to run to your own settings and economical snow fluid consumption means fewer trips back to the machine to refill. 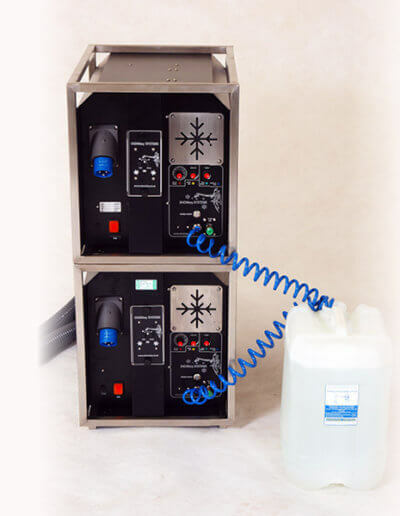 Single channel DMX also allows easy On/Off operation. 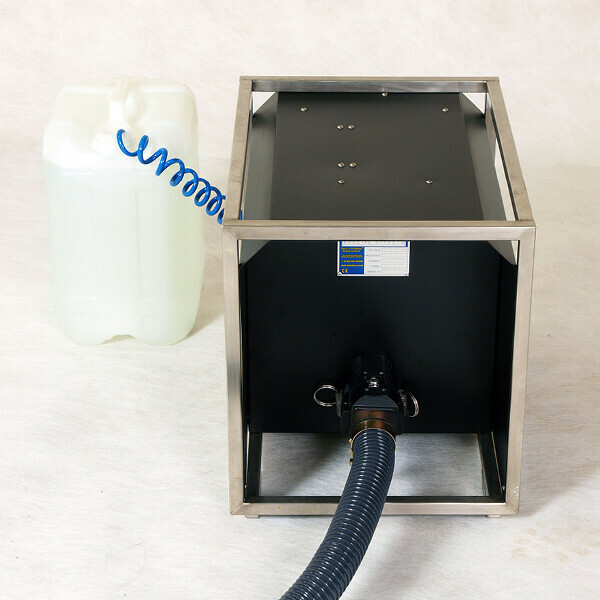 The Stage Whisper allows all the controls to stay at ground level, whilst enabling snow to be run up high into the gantry using the 15m extending hose reel. 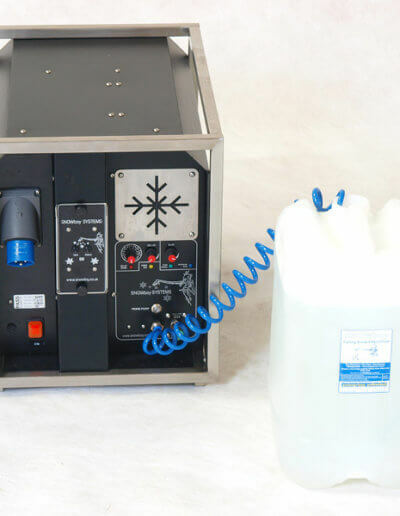 Ground level operation incorporating a 20 litre barrel of snow fluid allows a considerably extended snowing time before refilling is necessary – 80 mins continuous snow fall on a medium flake size setting at maximum blower speed – up to 300 minutes at low blower speed. 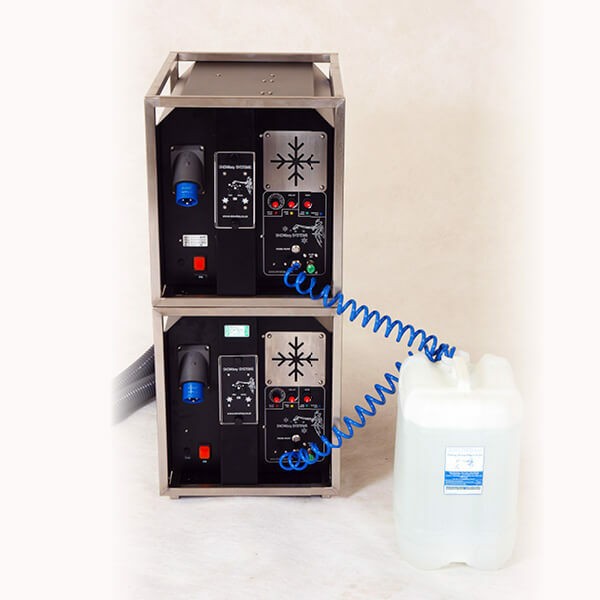 SNOWboy Snow Fluid is bio-degradable, non-toxic, non-staining and dermatologically tested.